In this column, I’ll be looking at an inspirational girl from every century, starting in the 21st century and working back to the 1st century CE. As a historian and feminist, I thought this was the perfect way to share the stories of awesome historical girls from around the globe. Hopefully you’ll learn about girls you might not have otherwise heard about. These Trailblazers deserve to be your next role models! Deng Sui was chosen to enter the palace of Emperor He of China when she was 14 and became a consort to the 17-year-old Emperor only a year later. At that moment, he already had a wife, Empress Yin, but he had numerous concubines. Deng tried to forge a relationship with the empress but was resented for her favoured position in the palace — she was well liked by everyone, and Emperor He in particular. Deng was described as humble and intelligent — she refused all the privileges the Emperor tried to award her and she attempted to cover mistakes that Empress Yin made in the palace, but this failed to gain the Empress’ respect. 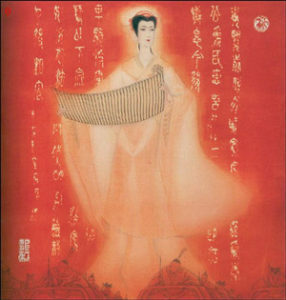 Nonetheless, Deng became a favourite in the palace and when Empress Yin was accused of witchcraft and the Emperor needed a new wife, everyone suggested Deng Sui as a suitable candidate. At first Deng nobly resisted out of loyalty to Empress Yin, but she eventually capitulated to the Emperor’s wishes on his third request for her hand in marriage. As an Empress, Deng, although young, was described as diligent and humble, refusing to allow her relatives to be promoted when she became Empress as she was very concerned with nepotism and corruption in the kingdom. Deng also surprisingly prohibited the various principalities of the kingdom from offering her any tributes, which were customary for Empresses to receive. Sadly her husband died a few years later when she was only 20, leaving Deng as the next Empress Dowager, young and alone with a large and troubled kingdom to run and a succession crisis. As Empress Dowager, Deng served as regent for Emperor He’s son (by another woman), Emperor Shang, and later for Emperor He’s nephew, Emperor An. In both of these cases, Deng had the full power of the kingdom in her hands and a lot of responsibility; but she was a capable and thoughtful regent who was regarded well by the masses. Although her brother became the chief administrator at the palace following Deng’s promotion to regent, she was merciful to those who had been previously powerful. Deng issued a general pardon to those who had associated with Empress Dou, whose family had been powerful during the early reign of Emperor He, but had had their rights stripped from them after a failed coup d’etat. This demonstrated Deng’s merciful nature. During her regency, Deng also cut palace expenses, provided relief for the poor, and was able to overcome the challenges of natural disasters including devastating floods, droughts and hailstorms in several parts of the kingdom. Empress Deng was largely effective in organizing disaster relief efforts, especially during the decade long flooding that occured in during reign. She also faced the challenge of border wars with Xiongnu and Qiang who were growing increasingly more powerful. These rebellions got so large that at one point it was thought the Han dynasty might have to abandon their capital — but Deng kept her head and made wise choices, managing to quell the rebellions. Deng was also concerned with criminal justice in the kingdom. She would not tolerate corruption even by her own family, and she carried out law reforms. For example, in 107, she issued an decree that extended the time allowed for death penalty appeals. As a well educated young lady herself, Deng also concerned herself with creating new positions for scholars in the kingdom and for encouraging original thinking. She was also involved in promotion of education, calling on 70 members of the imperial families (yes families!) to stuff the classics and she oversaw their examinations personally! As if that wasn’t enough, Deng is also considered responsible for the world’s first official adoption of paper; she loved to write and sponsored the production and use of paper at the palace. Empress Deng was not perfect. Towards the end of her life, she made some difficult choices to remain in power. Nonetheless, she was a capable and kind ruler, who knew what should be done despite her young age and lack of experience and, often, support. She is considered by many as the last effective ruler of the Eastern Han dynasty. During her regency, Deng managed to reduce unnecessary expenses in her palaces and lower taxes. She handled the difficulties of natural disasters and wars, successfully leading her people through these troubles and maintaining the borders of her kingdom, all the while doing it WITHOUT a husband. So girls, listen up, Empress Deng proves that you do not need a man to be a kind and capable person, and definitely not to run an empire.